Most PCs when powered down, but not switched off at the wall, consume around 4W of energy. The new Fujitsu Siemens’ Zero-Energy Esprimo 7935 PC consumes nothing when it’s powered down. Additionally, Fujitsu Siemens have introduced a feature that allows the PC to switch on at a pre-defined time in a low power mode, which is then used to install maintenance patches overnight. Once the system has finished patching itself, the PC powers itself off and returns to the 0-Watt mode. What would be particularly useful to system administrators would be to allow the PC’s maintenance mode timer to be configured remotely. This means sysadmins could stagger the times when the systems are powered on, which reduces load on the network when patching commences. To add to the features, the Esprimo 7935 PC has a 89% efficient power supply, meaning considerably less energy is wasted as heat compared to other PCs. 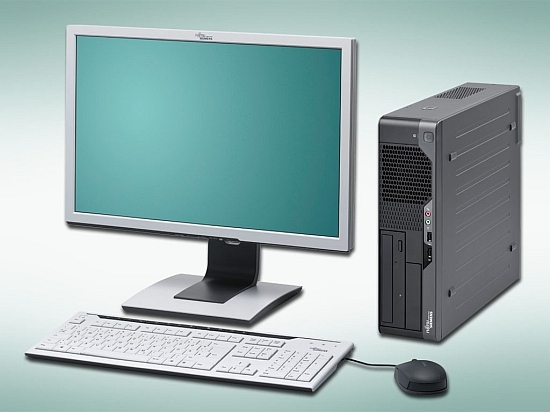 The PC also conforms to the U.S. Environmental Protection Agency’s Energy Star 5.0 standard. No details of the PC specifications are out yet, but it looks like a promising system. Pricing is expected to be around €600 to €700.